The chief executive of Nissan Motor Co. says the automaker’s alliance with Renault could produce 500,000 electric vehicles a year globally by 2013. Carlos Ghosn, who leads Nissan and Renault, says he is optimistic that consumers will warm to electric vehicles. 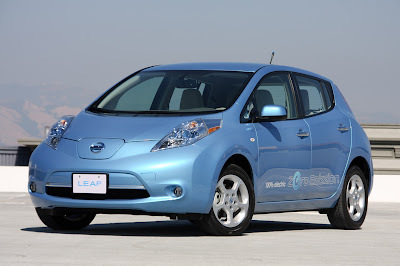 Nissan is releasing the zero-emission Leaf electric car in December in the United States and Japan. Ghosn told reporters in Washington Monday that Nissan and Renault would have four electric vehicle models each. They will have the capacity for annual production of 500,000 electric cars by 2013. Nissan is making electric cars a key part of its strategy. The carmaker’s research has found that 10 percent of buyers around the world want an electric car.